Many thanks to Paula Rees for these classic country footy photographs. 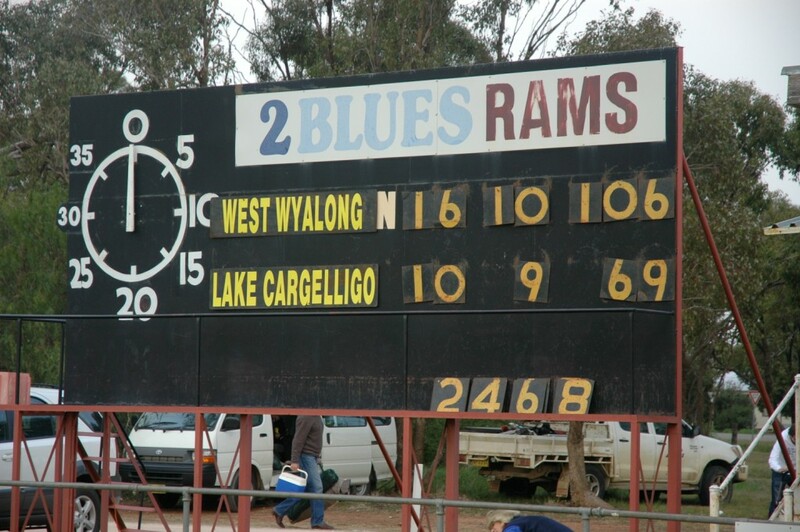 Paula reports that Lake Cargelligo were the hot favourites for the 2009 flag, having beaten West Wyalong Girral twice during the year, including the semi-final. The Grand Final was at the Barellan ground – note the white ‘N’ poking out under the ‘West Wyalong’ sign. The ‘2 Blues Rams’ sign refers to the Barellan Two Blues Australian Rules team and the Barellan rugby team, the Rams. The Rams were part of the Group 17 rugby competition, a comp which has now folded. The Two Blues and the Rams played on the same ground, Australian Rules on Saturdays and rugby league on Sundays. A big day for the 2009 Bulldogs. Note the trophy, the shield, the mascots and the aspiring scoreboard attendants climbing the ladder. West Wyalong Girral’s 2009 flag was the Bulldogs’ eighth senior premiership since joining the Northern Riverina Football League in 1977. Paula notes that the club, previously known as Girral West Wyalong, won its first premiership in 1987 and followed up with premierships in 1988, 1989, 1991, 1992, and 1993. 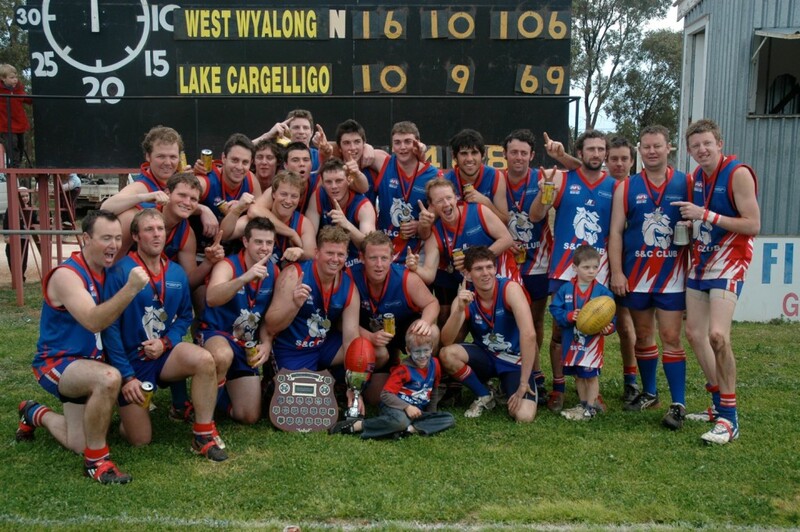 In 2005 the club changed its name to the West Wyalong Girral Australian Rules Football and Netball Club and won the premiership that same year. The original Girral Football Club won the 1924 inaugural Northern Riverina League premiership, backing up again in 1926 for their second premiership, before disbanding in 1936. Other teams in the NRFL are Cobar, Hillston, Tullibigeal (2013 premiers) and Ungarie (home of the Daniher family). Paula was secretary at West Wyalong Girral from 2007 to 2012. Her husband Keith coached the re-formed Girral Football Club in 1977, wrote a history in 2006 of West Wyalong Girral Australian Rules Football and Netball Club, and is currently compiling a history of the Northern Riverina Football League. Paula and Keith’s son Michael played 124 games for the Bulldogs, including the 2005 premiership. I like the way that the numbers on the scoreboard clock get smaller as the time intervals increase!